Flipp has become one of the most used apps on my iPhone. 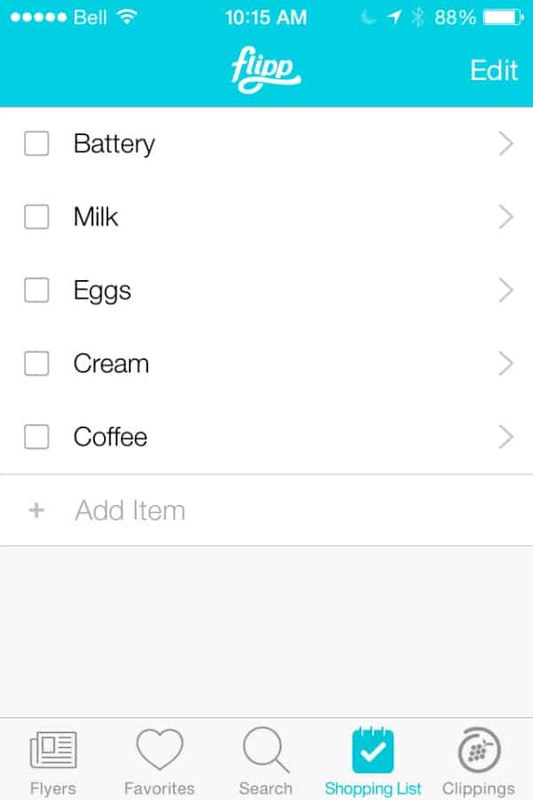 I check it daily for updates on flyers and am now using it’s newest feature – a Shopping List! I’ve written about Flipp before and have been using it since August 2014. After trying it, I can easily see why it’s become a favourite of savvy shoppers across North America. 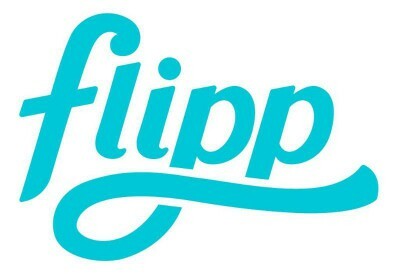 I’ve been following Flipp on Facebook and knew that they had a surprise in the works. The day they announced that the newest feature was available, I immediately downloaded the update, the “2.0” version of Flipp and discovered the Shopping List! 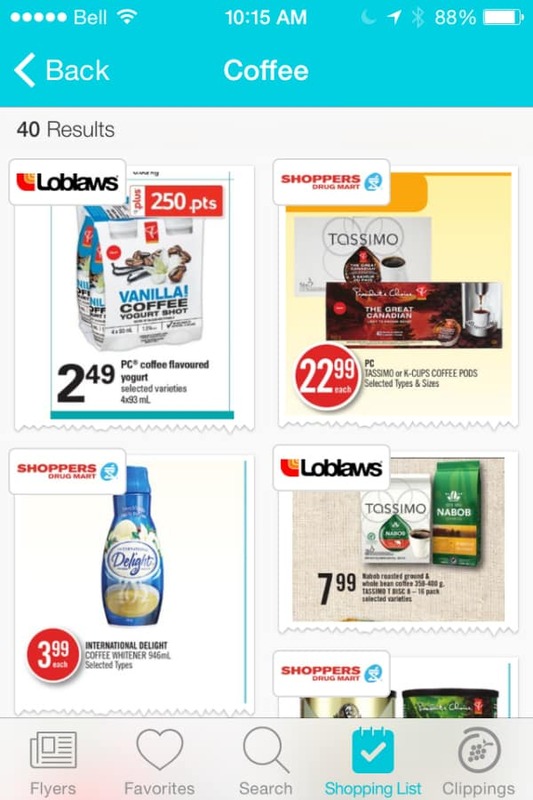 Now I can plan my grocery list right in the app and immediately discover the best deals on the items I will be purchasing. Here’s the start of my list for this coming week. I click the little arrow for each item and will be taken to a page showing all the deals available. For example, when I click Coffee, I can see what stores have coffee deals on this week. If I see a deal I like, I can clip it to save it for later. If you shop at a store that price matches, your clippings will be invaluable to show the cashier at the check out. No paper flyers required. When I’m shopping in the store, I can check items off my list as I add them to the cart. This would be a fun job for my daughter to do to keep her busy when we are shopping. This newest update is on iOS right now and will be coming to Android later on this month. Seriously if you don’t have this app yet on your smartphone, you need to go download it now. It’s FREE, super easy to use and will save you money! Flipp has changed the way I shop helping me to find the best sales and now will help me to organize my shopping trips. Learn more about Flipp’s newest feature on Tech Crunch. Do you use Flipp? Connect with Flipp on Facebook and Twitter. 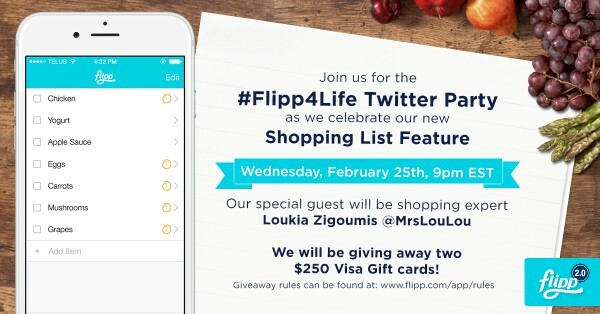 You are invited to the #Flipp4Life Twitter Party on February 25th at 9pm EST! 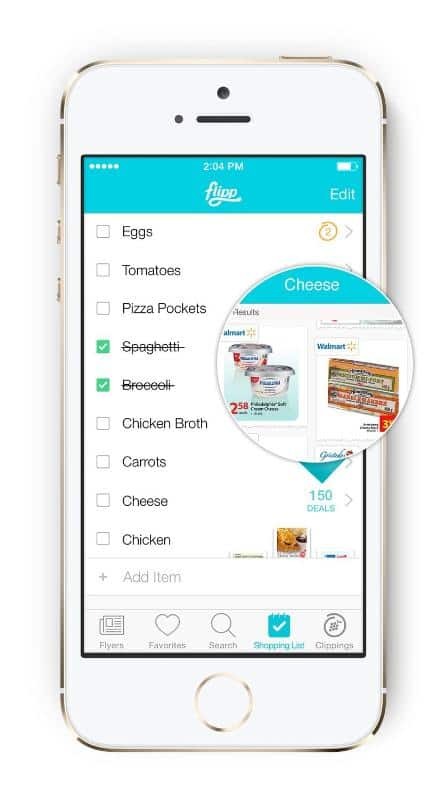 We’ll be chatting about the new shopping list feature on Flipp and giving away some prizes. Eligibility: Open only to residents of Canada (excluding Quebec residents) and United States (excluding Florida residents). See rules here. No RSVP required. Tweet with you then! I have an Android, so can not test out the features on flipp. But it looks like it will be a great app. when it makes it. Thank for the introduction to it. 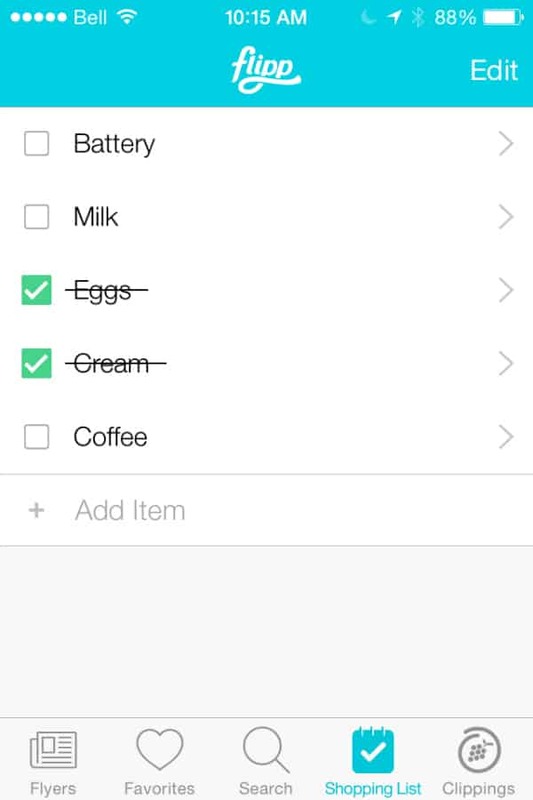 Absolutely love the shopping list feature! Thank you for the fantastic blog! I just started using this APP. It’s nice to not have to bounce back and forth between APPs while I’m shopping. I have only been using Flipp for a couple of weeks and love it! Now I need to check out this list portion.